FKB49 is part of the 2018 Super Treasure Hunt set and 1/10 in the Then and Now series. The Spectraflame blue sports car features light blue pinstripe details. 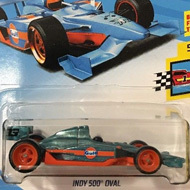 “Skyline”, “TH”, and the Hot wheels logo decorate the sides. It has tinted windows, a black interior, 4-spoke Real Rider wheels with chrome and gray rims, and a blue plastic Malaysia base. 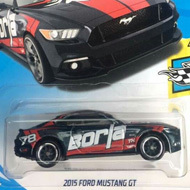 This vehicle can be found in mix “E” of 2018 Hot Wheels mainline cases. 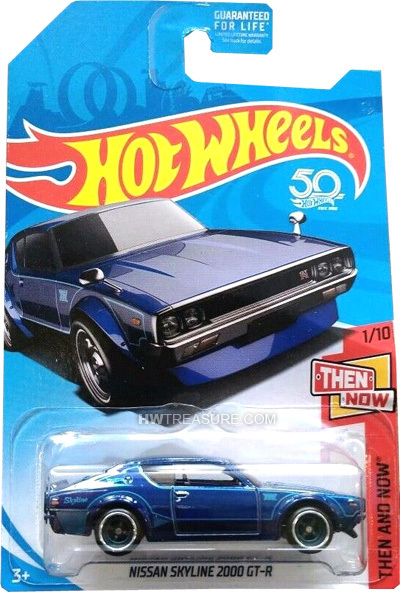 The Nissan Skyline 2000GT-R made its debut in the 2011 New Models series. It is based upon the Japanese race car of the same name. GT-R stands for Gran Turismo Racer.